A lecture entitled “What it means to be Greek: Ethnic identity construction among the third generation” will be presented by Pam Papadelos, a lecturer in the Department of Sociology, Criminology & Gender Studies at the University of Adelaide, on Thursday 14 September 2017, as a part of the Greek History and Culture Seminars offered by the Greek Community of Melbourne. 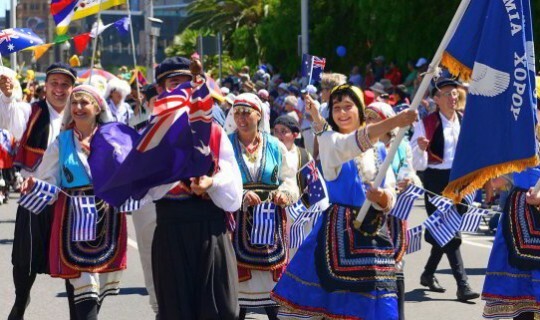 People of Greek heritage have been part of Australia for more than a hundred years. This lecture will focuse on the ethnic identity formation of the grandchildren of Greeks who arrived in the period after the Second World War and before 1975. Initial findings from a survey of youth aged 18-30 years (third generation) will be presented with the purpose of gaining an understanding of what it means to be Greek for this cohort of Australians. Comparisons are drawn between their parent(s) (second generation) and grandparents (first generation) in relation to the continuing importance of identity markers such as language, religion, culture and cuisine (Smolicz, 2010; Tamis, 2005). Survey data indicates that the third generation construct or embody their Greekness around culture, values and food, rather than language and religion. While most of this cohort (third gen) stated that they do not speak Greek well, or at all, or attend Greek Orthodox Church services the majority conveyed a pride in their Greek ancestry and either hyphenated their identity (Greek-Australian) or felt a distinct sense of 'Greekness' that separated them from the general population. Most respondents expressed their Greekness within their family setting with very few attending Greek social institutions or joining Greek organisations. Gans' (1979) notion of ''symbolic'' and ''optional'' ethnicity is explored in relation to his suggestion that "ethnicity can survive without significant social or cultural participation" (Gans, 2009, p. 123). This paper presents the findings from my survey and then examines the implication for on-going group membership or mobilisation, which was previously based on language maintenance, religious observation and ethno-regional identity. Pam Papadelos is a lecturer in the Department of Sociology, Criminology & Gender Studies at the University of Adelaide. Her teaching and research focus on the ways gender intersects with race, class and sexuality. Her current work examines the gendered dimensions of cross-cultural practices for second and third generation Australians. In particular, she engages with current debates in Australia on managing cultural diversity, strengthening social cohesion and widening concepts of national identity.